The southernmost Sea Island off the coast of Florida, Amelia Island takes its name from Princess Amelia of England. 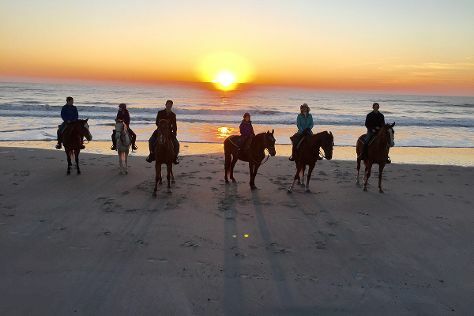 On the 25th (Thu), steep yourself in history at Amelia Island Historic District, take an in-depth tour of Amelia Island Museum of History, sample the fine beverages at Marlin & Barrel Distillery, then immerse yourself in nature at Fort Clinch State Park, and finally trot along with Amelia Island Horseback Riding. For ratings, other places to visit, photos, and tourist information, go to the Amelia Island day trip website . Expect a daytime high around 78°F in April, and nighttime lows around 63°F. Wrap up your sightseeing on the 25th (Thu) to allow time to travel back home.